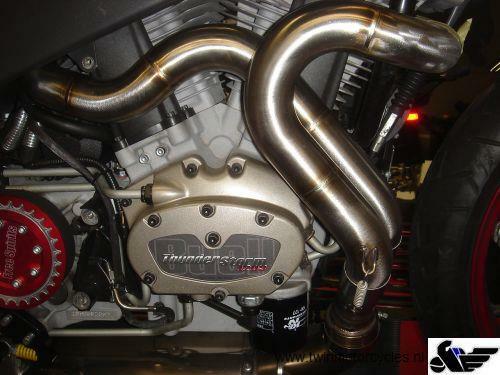 Twin Motorcycles will develop a new intake stack for all Buell XB9 and XB12 models. We start testing with 1 2008 XB12. It has mounted our 45mm HEaders and our Torque Hammer exhaust. Below you can see our first prototype stacks on different intake lenghts. And Our Buell with the 45mm headers and Torque Hammer exhaust. We will do the testing on 95 octane. With the same engine temperature, same dyno operator same day. More info soon.